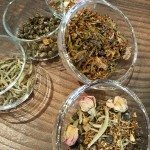 I went to a fun tea tasting at the University Village Teavana Tea Bar on Sunday, November 29th! 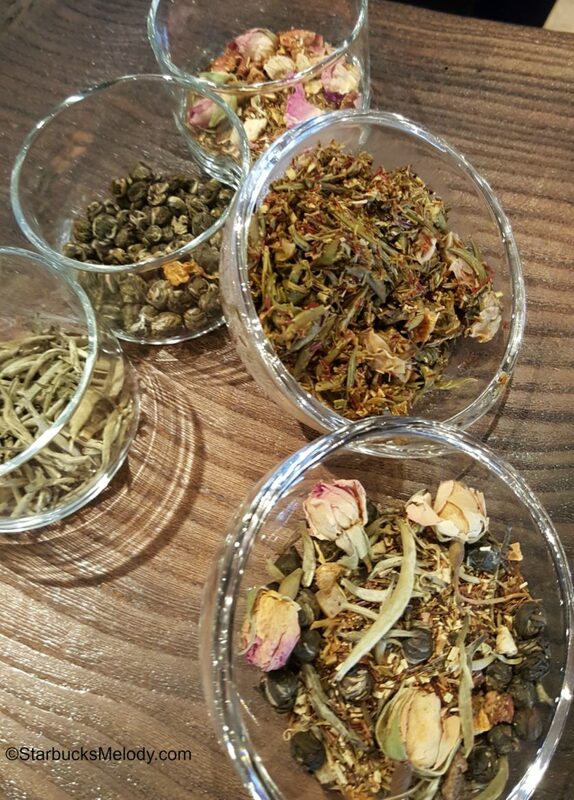 The theme of the tea tasting was “floral teas,” including teas with rose buds or petals. 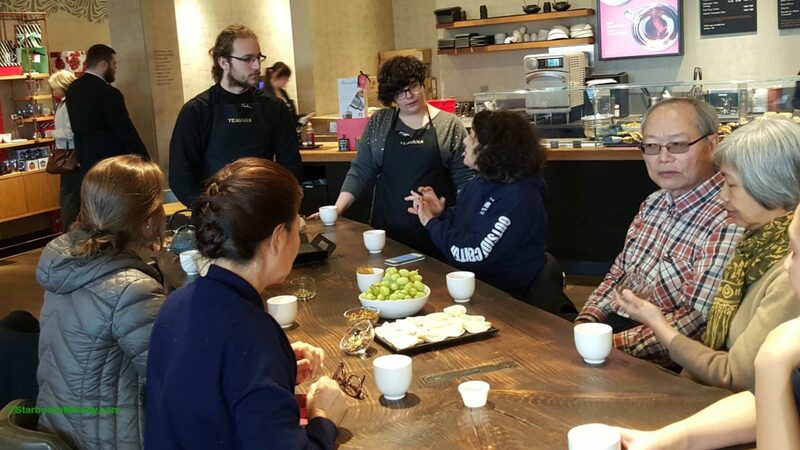 By the way, The University Village Teavana store is now doing tea seminars the last Sunday of every month at 11:00 AM. Anyone can join in. They’re free to attend. They mentioned that they may skip the December tea tasting due to the holidays but will definitely start back up in January. This store also does shorter tea tastings every Wednesday at 6:00 PM. I don’t see this tea on the Teavana website, but it definitely was a white tea at Teavana. “To Life” has three components: Silver Needle White Tea, Rooibos Tropica, and Jasmine Dragon Phoenix Pearls. The floral component of this tea comes from the Rooibos Tropica. I tasted a lot of jasmine and peach with this tea, and thought it had a little bit heavier mouth feel. It had a floral aroma too. This was a complex tea. 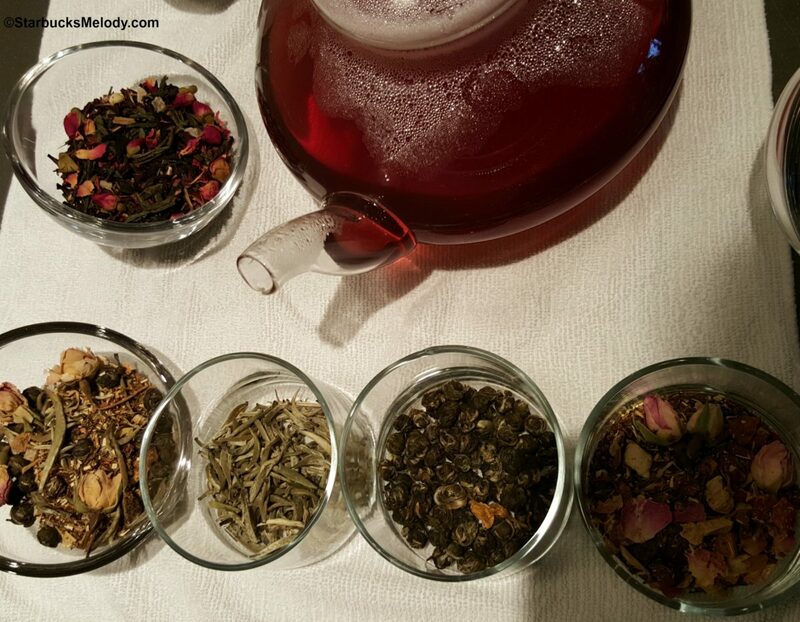 Since it’s a blend of three teas, you might discover a lot of different flavors in it. You might even get a hint of caramelly-ness from the Silver Needle. 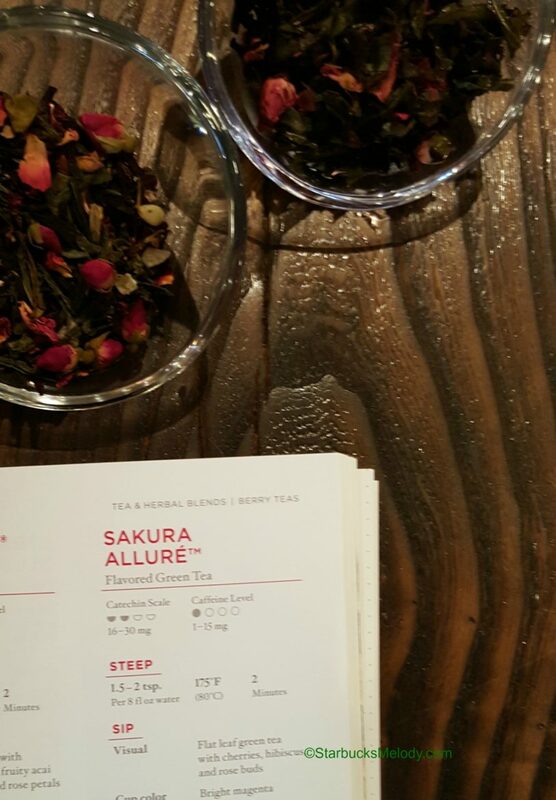 Next we tried Sakura Allure, a flavored green tea. 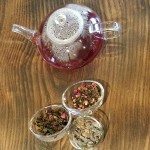 This is a green tea with flavors of soft rose, mango and bold cherry fruit. This is juicy tea with a slightly tart flavor. Since this is a little bit tart tea, from the cherry component, we tried this tea slightly sweetened, and then for comparison, unsweetened. 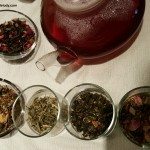 I really enjoyed this tea both ways – both sweetened and unsweetened. It has a little bit of a sour tartness without sweetener, in my opinion. I think this tea would be amazing iced. 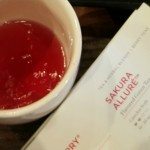 The aroma of Sakura Allure is so wonderful: it would be wonderful to fill your house with this kind of floral and cherry aroma. Very beautiful aroma! I believe the green tea component of this tea is Dragonwell Imperial Reserve. 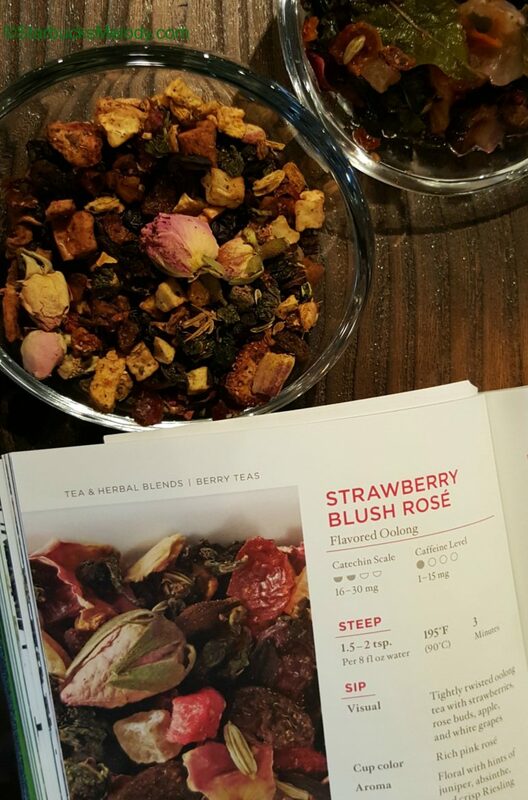 Strawberry Blush Rose is a flavored oolong tea. 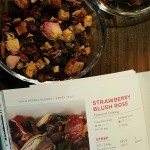 It’s very popular and Teavana has been offering it for many years! The aroma of this tea is sweet and light. It has both a light strawberry aroma and flavor. It’s interesting if you were to compare “To Life” side by side with Strawberry Blush Rose, you’d find that “To Life” is heavier and more complex, and Strawberry Blush Rose has a thinner mouth feel. 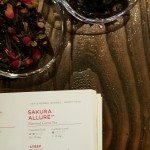 This tea is delicate, fragrant, and the juniper berries add a slightly tart finish (though not as tart as the Sakura Allure). 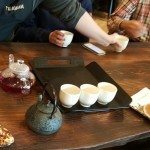 Just as coffee tastings are great coffee education, tea tastings are a great way to learn about tea. It’s important to be able to compare and contrast when learning about coffee or tea. Some of the most amazing coffee tastings I’ve been to were structured the same way: Compare and contrast three coffees. 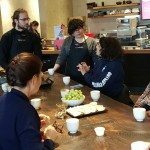 I don’t know if there are more Teavana stores doing regular tea tastings, but I hope you can find one near you to join in. If not, I hope to see you at University Village Teavana one day! The Holiday Spice Flat White: All New Starbucks Drink beginning November 30th. London Reserve Bar – Upper St. Martins Lane Starbucks. Starbucks Birthday Reward Redemption Time Shrinks to 4 Days. Don’t Miss Out on Your Free Drink.